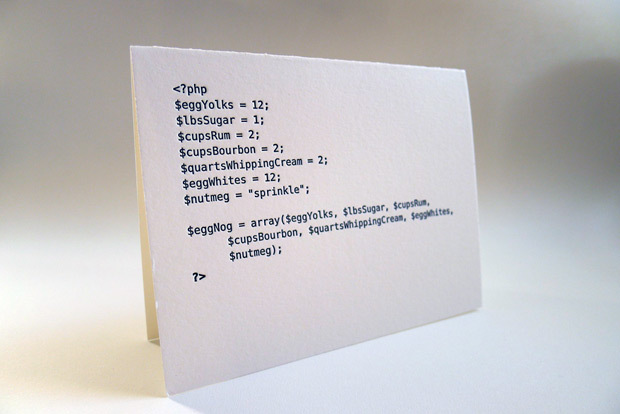 Code Cards by designer Matt Raw are letterpress printed holiday cards that are written in a variety of programming languages. Web workers today toil at their workstations with little knowledge of their forebears who, centuries ago, set variables and arrays by hand in wood and metal type. These analog developers printed code in small batches on behemoth presses made of cast iron. While the process was massively inefficient and fraught with peril—”debugging” referred to the risky practice of reaching into a moving press to scrape an insect off the ink rollers—one can still find old-timers who speak wistfully of the precise, tactile qualities of letterpress printed code. Code Cards connect today’s digital developers with the analog coders of yesteryear. 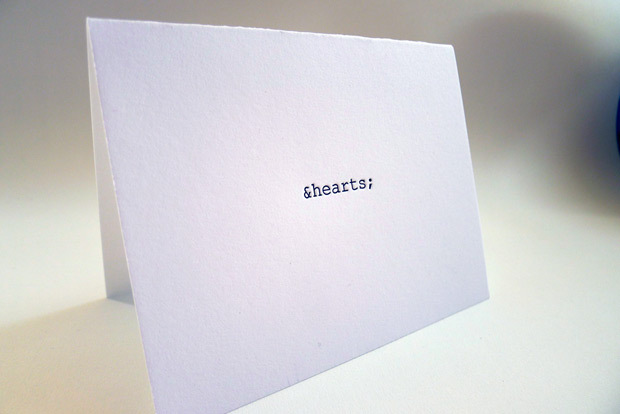 Celebrate your digital heritage with greeting cards featuring old-fashioned, letterpress printed code.